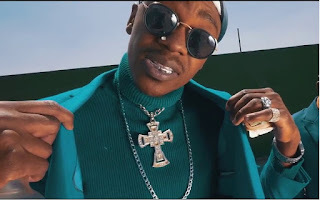 Summer is here and it's about to get hotter as Team Bhoo Boss drops the first visuals for his KaBetter Life album in the form of Jack Reverse, featuring Scrip Mula, with the visuals shot by AM Films. From the visuals you can tell how much of a boss he is as he shows us how extravagant he is. You might be wondering if the Team Bhoo Boss has a DJ Towers replacement. Well, the other guy in the video is El Deeper (who also happened to be the stylist), who is also part of the collective Yedu Entertainment. Brythreesixty also makes an appearance. You may have noticed the New Africa Music logo at the beginning of the video and thought, "Ko what happened to YGE?". Hopefully the tweet below will answer you. There are also rumours circulating that other artists signed to YGE have left the label. YGE is yet to release an official statement concerning this issue.